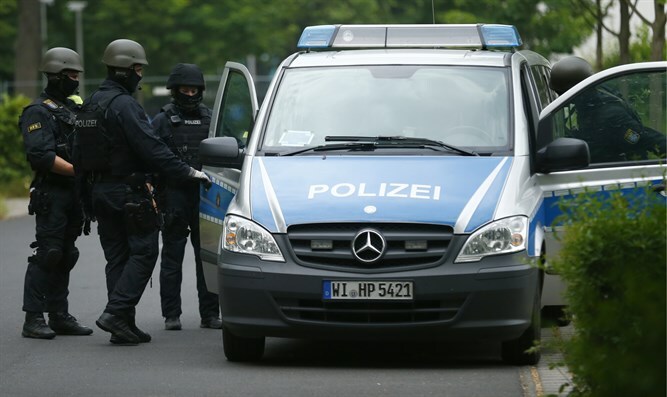 Syrian arrested in Germany in alleged plot to attack Israeli targets with chemical weapons. Last Thursday, Germany’s special police unit, the SEK, arrested a 21-year-old Syrian man in Berlin. At the time, police said the suspect was wanted in connection with an April 14th assault in the German capital. The suspect allegedly assaulted a man he claimed owed him 4,000 Euros, kicking the victim in the head and holding a knife to his throat while demanding the money. On Thursday night, however, it was revealed that the suspect was also wanted due to his alleged terrorist ties, and that he had been behind a plot to attack Israeli targets with chemical weapons. Local police acknowledged that the suspect had been taken into custody last week, without confirming details regarding the alleged terror plot. A police spokesperson did say that the suspect was “very dangerous”, and that he was under investigation for a matter unrelated to the assault charges stemming from the April 14th incident. German media outlets, however, reported that the Syrian national had planned to attack Israeli targets as part of an Islamic holy war on the Jewish state. To this end, the suspect recruited other Syrians and reportedly prepared an explosive device. The bomb was apparently intended to be used as part of a chemical weapon attack. Germany’s Federal Intelligence Service said it had been tipped off by a foreign agency several months ago regarding the suspect’s plans. Local authorities later tapped the suspect’s phones. Police conducted a search of the suspect’s residence, but say they found no incriminating evidence. The suspect apparently entered the country illegally, using a fake Libyan passport.